What comes to mind when somebody mentions McDonalds? We couldn’t be less surprised if the golden arches of the fast food franchise just popped in to your mind, even before the thought of a crunchy burger or succulent tenders tantalize your tongue. A great company logo defines its values, communicates to its clients, and helps their customers form meaningful connections with the brand. Therefore, if you have just launched your own business, you should be clambering to design a unique and memorable logo to define the face of your brand, before you can sit back, admire your success, and reap the rewards. A viable company logo is the key element for the success of a business. A memorable logo leaves a lasting impression on your clients, which is becoming ever more vital given the proliferation of well-endowed brands. Having a strong logo strengthens the credibility of your brand by providing consistency across your various marketing mediums. Companies which leave their logo as a mere afterthought, something that can be pieced together by matching a typeface to a pertinent icon, fail to make themselves recognized and remembered by customers. However, despite the indispensability of a great brand identity to businesses, most small and medium startups cannot afford the luxury of hiring big-shot designers and crème de la crème of the industry to design their brand identities on a shoestring budget. On the other hand, their limited design knowledge thwarts them from putting up a striking logo on their own. This is where an online logo maker comes in to help you DIY with a panache without wreaking havoc on your budget or making you question your scanty design skills. 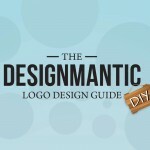 DesignMantic Logo Guide: The Easy Peasy Way To Do It Yourself! 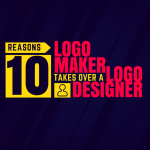 Hi Evan Brown, really those 5 Logo Maker Myths Won’t Die, Thanks for writing and sharing bro.